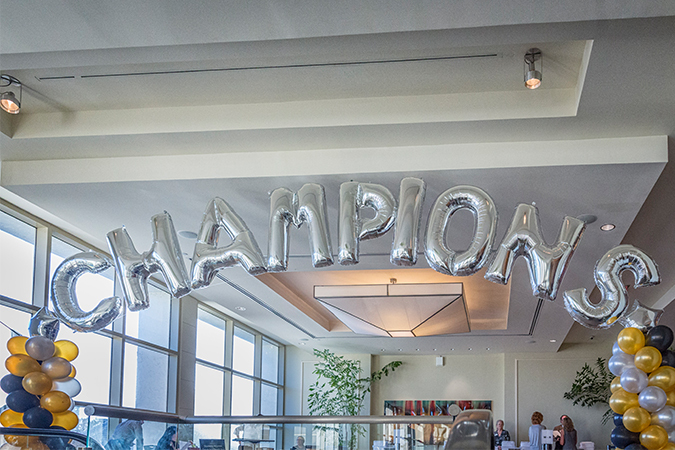 For those who couldn’t attend the event, Champions For Learning invites them to watch the Golden Apple television program, which will be aired on April 22 at 7:00 pm on NBC-2 and rebroadcast multiple times on The Education Channel. 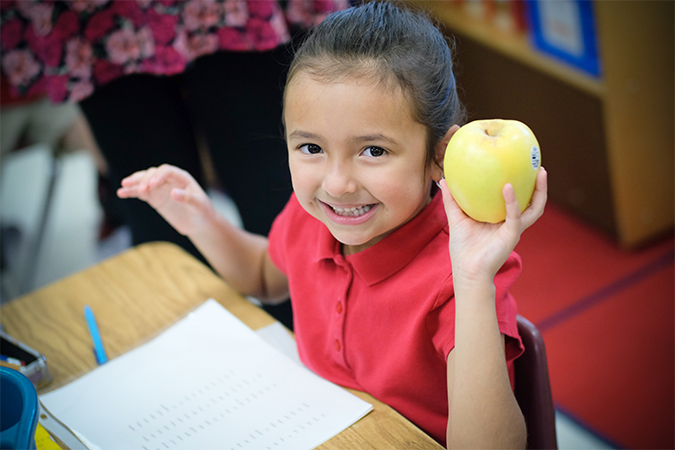 To stay connected text APPLE to 52182 for links to videos and photos of the Golden Apple event, tune in to watch reminders and access to fund classroom grants. Click here to view videos highlighting the best practices of our Teachers of Distinction and Golden Apple recipients. 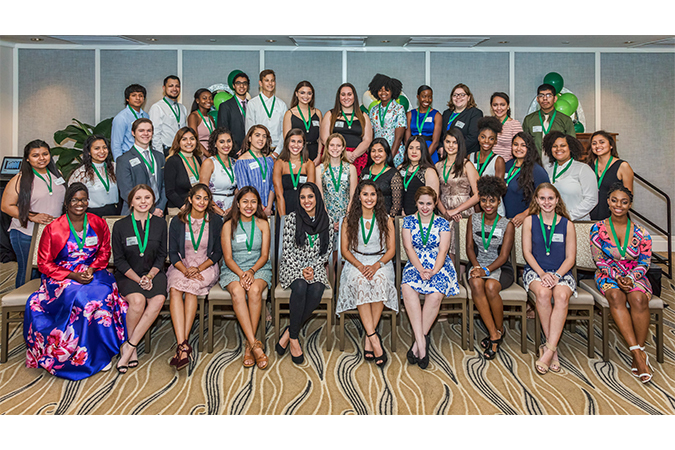 On April 25, fifty high school seniors walked across the stage as they accepted their certificate of completion of the Take Stock in Children Scholarship and Mentoring program of Champions For Learning. Announcing 2016-2017 Golden Apple Recipients! 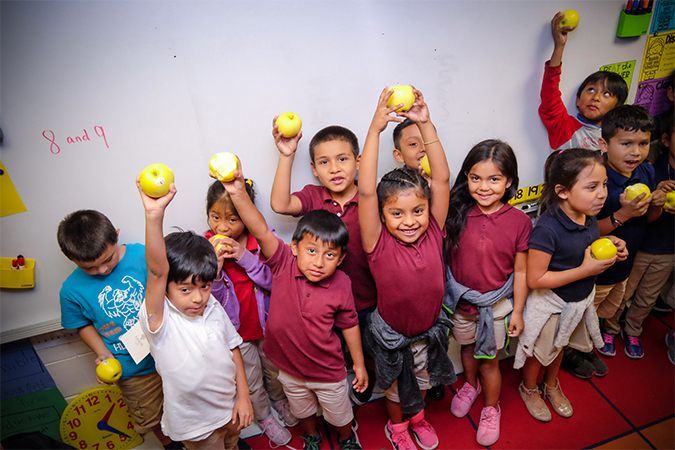 On February 14, students in six Collier County classrooms received bushels of Golden Delicious apples as their teachers were surprised with Golden Apple awards, which highlight best practices in teaching. 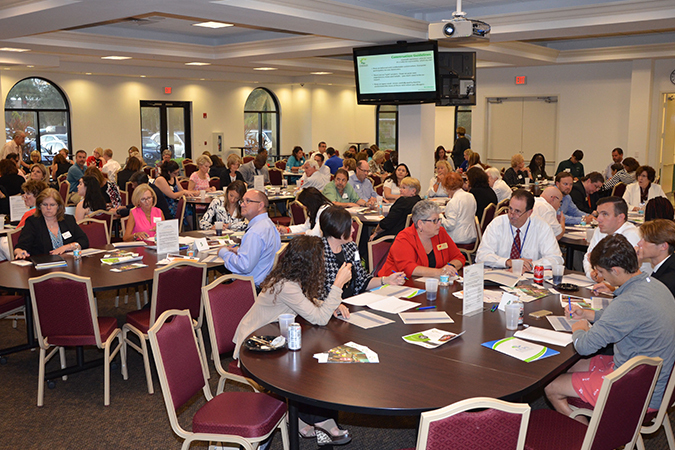 Representatives from Suncoast Credit Union, presenting sponsor of the Golden Apple Teacher Recognition Program, were joined by Champions For Learning board members, sponsors, and volunteers to present the awards to the teachers in their classrooms. Congratulations to the following 2016-17 Golden Apple recipients. See attached list for the names of Teachers of Distinction. 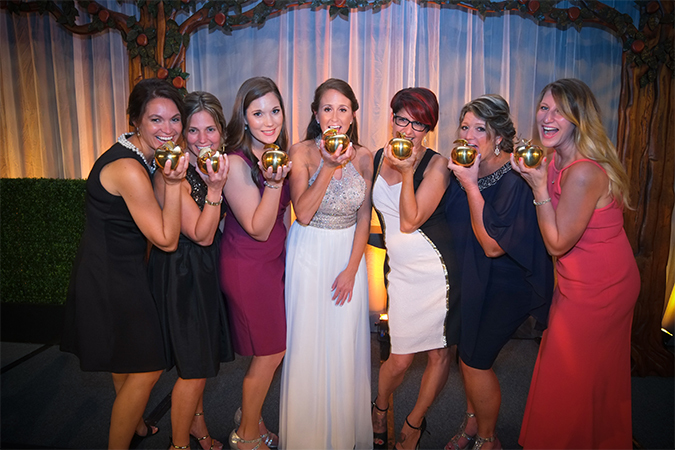 Click here to see the list of the Golden Apple Recipients and Teachers of Distinction. The 2016-17 Golden Apple recipients will each receive a grant (up to $5,000) from Suncoast Credit Union to allow the building of best practices. All Teachers of Distinction receive a $500 award, and the Golden Apple recipients receive an additional $500 award thanks to the Mary Ingram Fund of the Columbus Foundation. 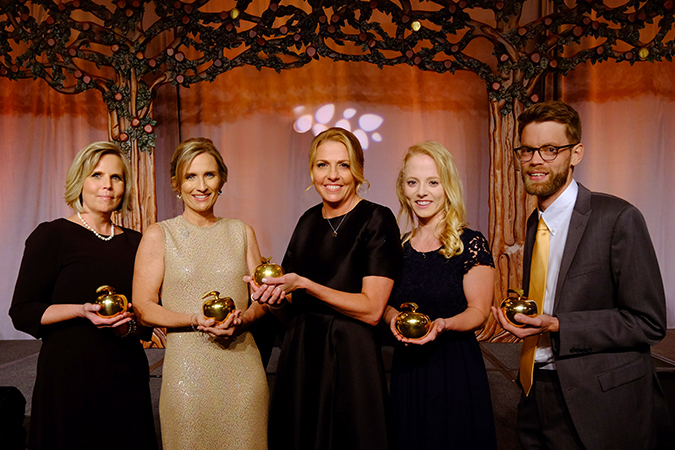 The community will honor and thank the Golden Apple Recipients, Teachers of Distinction, and Collier County Public Schools Teachers of the Year at the Golden Apple Celebration of Teachers Dinner on March 31, 2017. 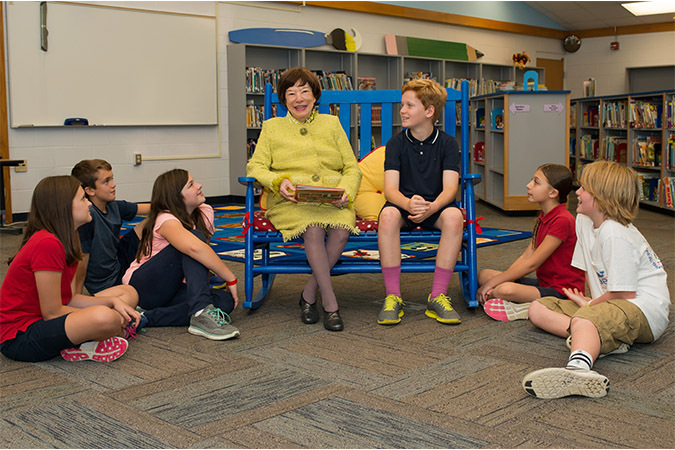 We will also be honoring Myra Janco Daniels as the 2016-2017 Heart of the Apple recipient for her contribution to our community. The event is presented by Suncoast Credit Union and is generously hosted by the Naples Grande Beach Resort. 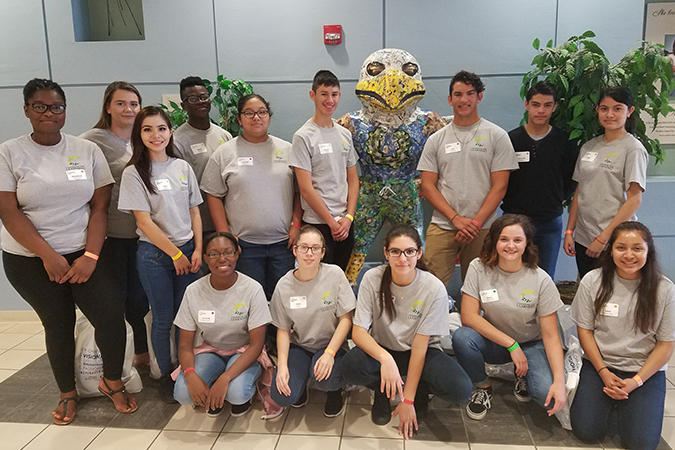 Additional support is provided by Adams Food, Inc./McDonald’s, Arthrex, CenturyLink, Conditioned Air, Gulfshore Life, the Mary Ingram Fund of the Columbus Foundation, Moorings Park, Naples Daily News, and NBC-2. For information on attending and/or event sponsorships, visit www.ChampionsForLearning.org/GA. Families, students, and the entire community are invited to join in the celebration by tuning in to NBC-2 for the Golden Apple television program highlighting the great work of teachers in Collier County classrooms. 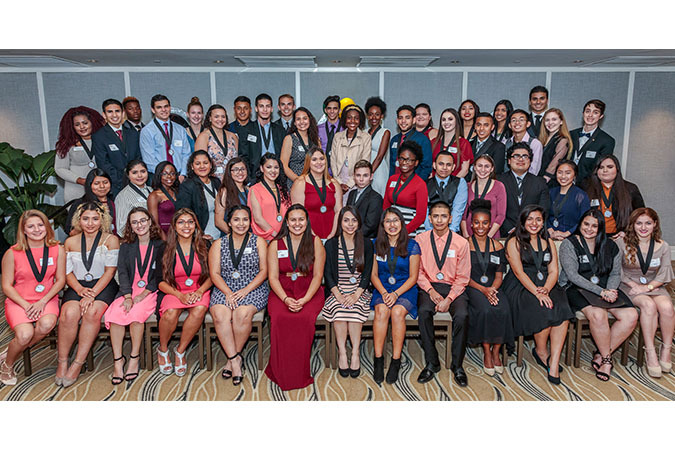 The program will be aired on March 31 on NBC-2 at 8:00pm, and rebroadcast multiple times after April 2 on The Education Channel. Your ticket for the: Announcing 2016-2017 Golden Apple Recipients!